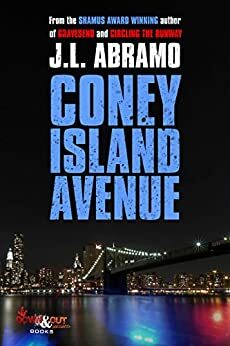 Reading the J L Abramo books in order will be a fun ride for the lovers of the PI crime mystery books. The author’s Jake Diamond series features the popular San Francisco PI who solves various cases. Here are the J L Abramo books for both his established and his newer, Gravesend series. Jake Diamond is a hard-boiled private investigator (PI) in San Francisco, California. J.L. Abramo (website) is an American author who has written the Jake Diamond series with the first book being published in 2001, so reading the J.L. Abramo books in order means focusing on that particular series. The author was born in Brooklyn, New York City, in 1947. He attended the City College of New York from where he got a BA in Sociology. Next, he enrolled at the University of Cincinnati, earning his master’s degree in social psychology. Since he has lived also in San Francisco, J.L. Abramo decided to set the Jake Diamond series in that city. The series currently includes 5 books, with the latest one Circling The Runway being available since 2015. Jake is a Russian-Jewish Italian-American-born private investigator who has a rather strained relationship with the police. Yet, in the new J L Abramo book, Jake has to team up with Lieutenant Laura Lopez to work together on a new case. Besides his popular series, the author has also written a new series called Gravesend, which currently includes two books. Born in Brooklyn New York, literally on Raymond Chandler’s fifty-ninth birthday, he enrolled at the City College of New York where he earned a BA in sociology, followed by a Masters Degree in Social Psychology at the University of Cincinnati. Besides being a writer, he is also an educator, arts journalist, theater director, and actor (for film and theater). He is also a member of various mystery guilds including the Mystery Writers of America, Private Eye Writers of America and International Thriller Writers and the Screen Actors Guild. His genre of choice – the hardboiled PI genre – has been strongly influenced by him reading Dostoevsky, Arthur Conan Doyle, Dashiell Hammett, Raymond Chandler and Jim Thompson. The books have a lightness to them, while still being sort of tough PI story driven. I enjoy the books with their rather short dialogue driven pages, which sometimes almost read like an action-packed movie script. The first book in the Jake Diamond series has won the St. Martin’s Press/Private Eye Writers of America Award for Best First Private Eye Novel.